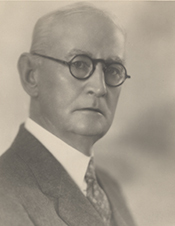 The papers of Herbert Jackson Drane include correspondence and official papers. A large part of the correspondence dates from the period when Herbert Drane was a member of the Federal Power Commission (1933-1937). The collection also includes a good deal of autobiographical material and original composition by Herbert Drane. The collection is currently unprocessed.